Yesterday marked the beginning of Holidays at Universal Orlando Resort and it is an up most exciting time to visit on of our most beloved themed park areas. 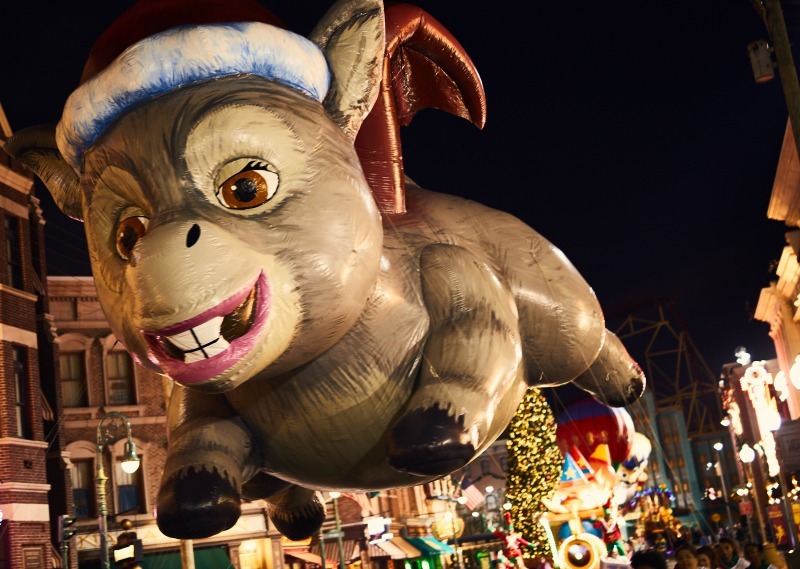 Running daily through Jan. 6, you can celebrate the most wonderful time of the year at Universal Orlando Resort. For the first time at Universal Orlando, you can celebrate Christmas in The Wizarding World of Harry Potter. 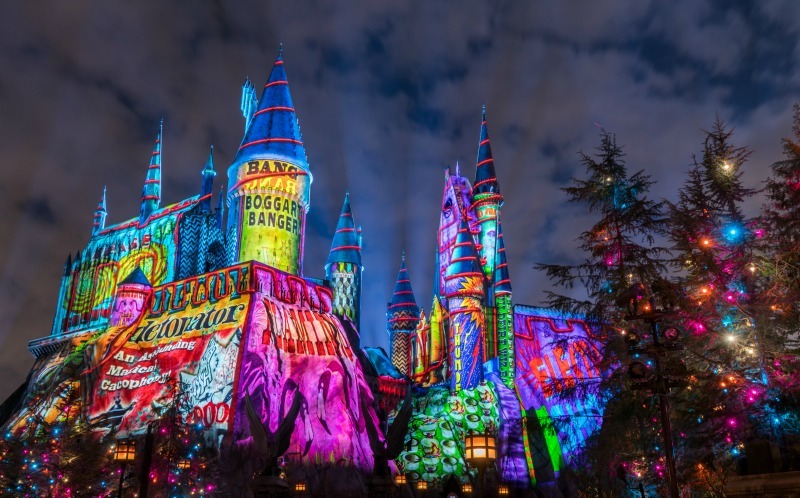 With magical scenes at night including state-of-the-art projection mapping and lighting wrap the Hogwarts castle in “The Magic of Christmas at Hogwarts,” which will bring incredible Christmas moments inspired by the Harry Potter series to life right before your eyes. This is a unique experience that all Potter fans should experience at least once in their lifetime. While you are taking in the sights of Christmas at The Wizarding World of Harry Potter make sure to take in the show. 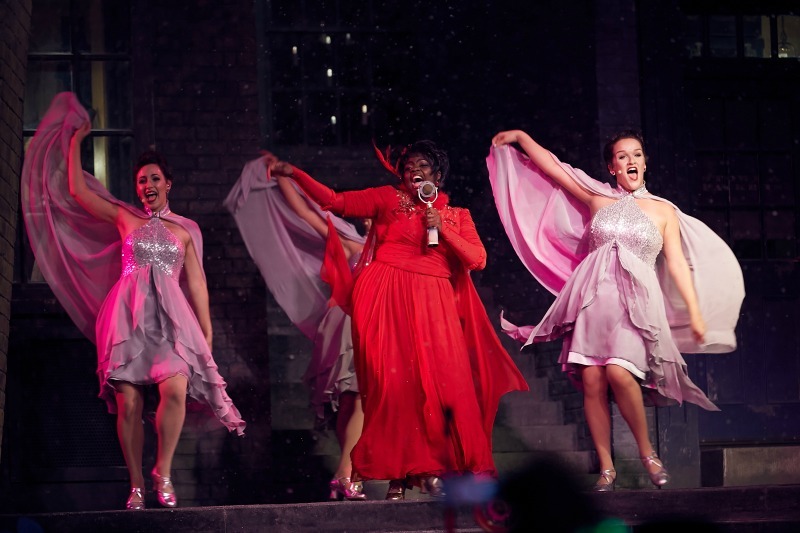 Get to swaying and grooving to the dulcet tones of wizarding world sensation (and Molly Weasley’s favorite singer), Celestina Warbeck and the Banshees. Catch a few of the never-before-heard songs including ‘A Cauldron Full Of Hot, Strong Love’, ‘You Stole My Cauldron But You Can’t Have My Heart’, and ‘You Charmed The Heart Right Out Of Me’ that will make you feel like you are truly in the wizarding home. 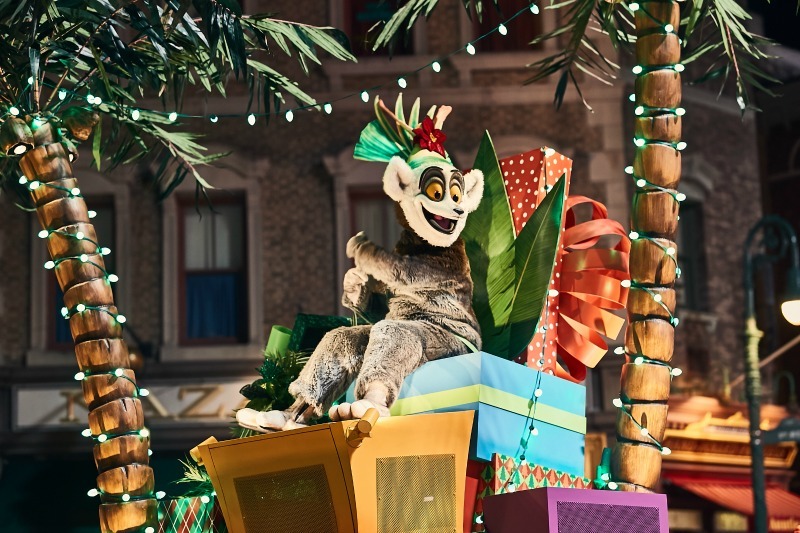 Universal’s Holidays Parade featuring Macy’s is also all-new and will include 15 incredibly detailed floats, 10 festive balloons and appearances by beloved characters from films such as Despicable Me, Madagascar, and Shrek. Seriously for the love of all things Macy’s Thanksgiving Parade, you can experience a mini version perfectly Universal every single day during their holiday celebration.